The workshop Brands and Labour Rights: When and How to Engage with Brands was designed by Maquila Solidarity Network (MSN) as a tool for use by women’s and trade union organizations in Central America and Mexico in their work to pressure apparel brands to take action to achieve greater respect for labour rights in their supplier factories in the region. 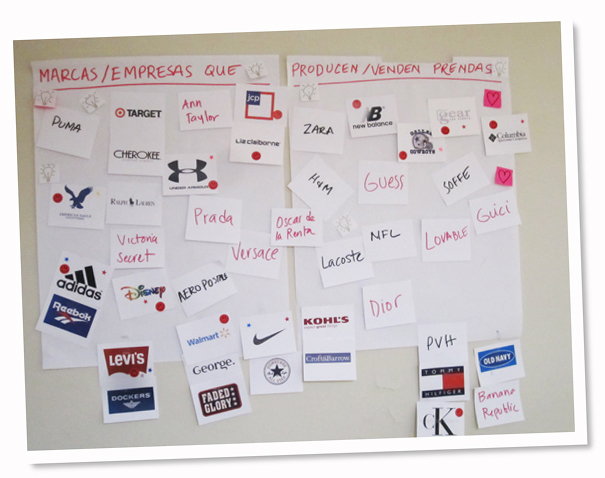 The workshop was designed to increase the participants’ understanding of power relationships in the global garment industry, the role of the international brands in this industry, and the possibilities and challenges in attempting to engage with or campaign against international brands. 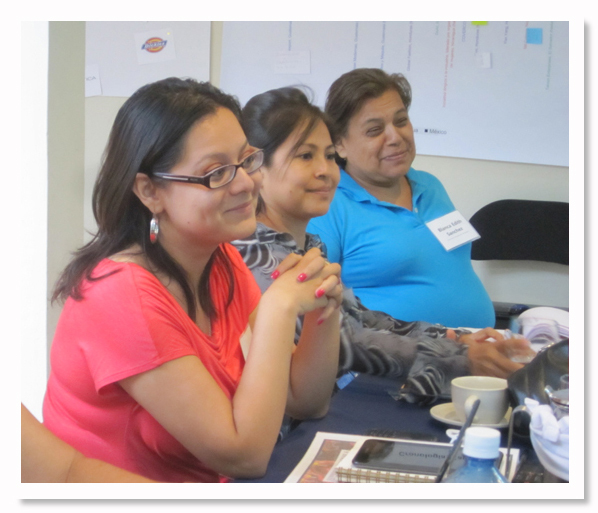 In 2013-2014, MSN organized and facilitated two workshops for women leaders of unions and women’s organizations in Mesoamerica. The first was a three-day workshop in San Salvador, El Salvador, and the second was a two-day workshop in San Pedro Sula, Honduras. Since then, the workshop has been adapted for use by women’s, labour rights and union organizations in other parts of Latin America where there are garments produced for export. Based on these experiences, MSN has produced this English-language workshop module and resources. It includes a Facilitator’s Guide, which describes how to structure the workshop and how to ensure the active participation of those attending, a draft agenda, and a complete kit of resource materials for facilitators and participants. Many of the resources can also be used separately for internal workshops of the organizations and/or as reference documents for brand engagement. We look forward to receiving comments about how your organization has used and/or adapted these materials. The workshop included fictitious scenarios that guided participants through an exploration of possible strategies and reactions to six realistic cases. A description of the exercises and scenarios are further explained here. The workshops, methodology and resources on brand engagement were developed as part of a three-year project (2012-2014) involving a number of women’s and trade union organizations in Latin America and the Caribbean. The English translation of the workshop materials was supported by the AFL-CIO Solidarity Center.